What are Human Resource Analytics? The Human resource analytics is the process by which the team of human resource through the analytical process works to improve the performance of the employees. When the team of human resource makes use of this process, the business of the company is benefited at large as it gets larger return on investment. Not just this, they also deal with the gathering of the employee information so as to know their efficiency level. Also, they help employees by providing the insights and the advice related to the task so as to help them make relevant decisions. As, the above definition gives the basic understanding of the concept, here are some of the things which HR analytics do, that is to put forward the impact the human resource department puts on the organization in which it works. Or we can say the human resource analytics represent the relationship between the various activities that are executed by the department itself, also keeps a check on the HR business intelligence output that it brings. Once the relationship is known properly, the next step is taken into the consideration. The hr strategic plan is made to help the business grow and attain the best results. Although there are realms of activities in which human resource analytics are involved, there are mainly four functions. The main functions are acquisition, development, optimization, and paying the employees within the company. The hr predictive analytics work in accordance with managers of the company so as to know the plans and gain information from them related to the problems and the issues that relate to their work. The human resource analytics are the bridge between the employees and the managing team. The tools mean the ways by which the human resource analytics work. So, here are some of the tools which human resource analytics use while evaluating the performances of the employees. 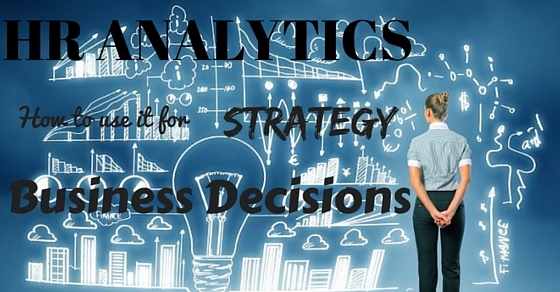 Many opportunities come the way of the human resource analytics. It is their duty to identify the right ones and put forwards so as the best opportunities are utilized. The opportunities are to create an impact on the overall performance of the employees. The human resource analytics also are responsible for supporting the organizational plans through their various strategies. Whatever is planned by the human resource needs to be in accordance with the plans and the goals set by the organization. So, this is also their duty to check whether the things are going as per planned. If it does not happen then the plans and the strategies need to be changed by the human resource department. This comes into their core functions. The human resource department has to look after the priorities and work as per the primary motives. They have to prioritize the actions and the investments which are lucrative to the company as the investments bring the best results at the end of the day. It is also one of the tools of the human resource analytics that is to demonstrate the bottom line impact of the human resource programs and the practices. This is necessary because the impact of the programs needs evaluation to the depth otherwise the programs will not reach the lower level and the program may fail to give the expected results. So, this is also one of the tools used by the human resource analytics. The human resource department also needs to manage the managers in their decision making process, especially in the case of the management of the workforce. It is also necessary because the managers are the higher authority and their decision becomes final. So, their decisions need to be very apt and needs to review once before finalizing. This reviewing of the decisions is done by the human resource team so that the right decision is taken regarding the management of the workforce. The human resource analyst also has to go through the process of coordinating the strategies of human resource with the strategies of the corporation. It is essential because the strategies only form the goals for the company and the employees to achieve. It is an important tool of the human resource analyst because it is their duty to check all the plans, the programs and also the various strategies that form the basis of the final goals of the organization. Top down approach means that the higher authorities are responsible for providing information to the lower authority. The managers usually do not directly contact the employees in the organization, unless the special meeting are held. So, for this purpose, the human resource department is considered as a bridge between the top and the bottom line employees. It is a necessary part of the human resource planning phase of the analyst. This HR analysis is done by visualizing the causes and the effects of the plan and policies which are made. Unlike the statistical approach, this cause and effect approach is utilized to establish a relationship between the dependent and the independent variables. Nor it is complicated like other tools like regression analysis in which more than one variable is studied for the impact on the performance of overall business. The business leaders are always flooded with the large amount of data 24/7. With the help of human resource analyst, that data is reviewed, processed and transformed into the qualitative information. That information further helps the business leaders in taking the decision regarding bringing a change in the business strategies. So, these are some of the hr analytics tools. They also use many other tools to evaluate the things but it highly depends on the type of the organization it is. The tools used by the human resource are different from one company to the other. The human resource analyst is the backbone for making vital decisions. They are important to every organization because they are the only one from whom the decision goes through and also gets final after proper evaluation. The decisions taken by the management are reviewed by the human resource analyst and the suggestions are also made to them. After making suggestions and amendments the decision is finalized. The decision has to pass many steps before it gets final. Just because of the decisions related to the policies being reviewed and taken into the consideration by the human resource analyst, they give an edge to the organization in the decision making; also provide competitiveness in the market. higher authority is the management team; which includes the managers. The managers make the policies, programs and decide on what is right and wrong with the help of the human resource department which includes the human resource analyst. The human resource analyst for the business decision is a good career, if anyone wants to pursue it. This is because the main decisions are taken by them which is key to every organization and also very useful, indeed. The human resource analyst tracks the developments and the trends in the different functional areas of the human resource strategies used by the human resource management. The human resource analyst not only reviews, or collect data to review but also are assigned with various other functions which are not limited to, employment analysis but also includes recruitment, decision making and so on. The human resource analyst collects the information from the higher authority like managers and most of the time they gather the information from the human resource department. The human resource department gives them all the details of the employees, their behaviour ,etc. The human resource analyst analyzes the information taken from the human resource. Also suggest the changes if any required. The human resource analyst is also required to perform various studies. Proper research is done before preparing the studies and then finally the hr reports are prepared by the human resource analyst. As many task are given to the human resource analyst, they prepare strategies which acts as a backbone for reviewing team. If any issue arises, that issue is solved by suggesting solutions by the human resource analyst. The human resource analyst is also called the talent analyst who are not only responsible for mining the considerable data, but also provide the organization with a blueprint of what would happen if the particular strategy is followed. So, this way they help in providing an insight for effectively managing the employees, monitoring their performance so as to reach the goals effectively and easily. As also said earlier, the human resource analyst recommends the changes in the policies and the plans made by the human resource strategist. The human resource analyst, act as a sieve to the policies discussed and made in the HR conferences by the higher authority. The human resource analyst reviews those policies before passing them to the employees. Not just this, they also recommend the possible changes and at times also make amendments in them. Apart from this, they are also assigned to interpret the policies. The interpretation is done to take out all the possible faults if any resides in them. The human resource analyst is a part of the essential decision making process. So, they are also entitled to participate in the working council and groups which finalize the policies. It is because, they are also the crucial part of decision making. Not just this , the human resource are also required to maintain the compliance with the established regulations and the policies of the organization. So, above are the importance of hr analytics and reasons why human resource analyst are vital for the HR strategies.